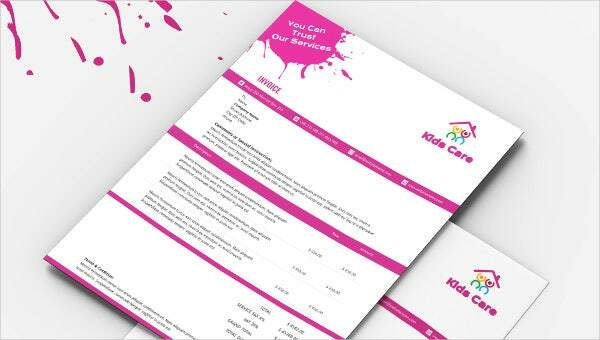 In simple words, an Invoice is a bill or it is a list of product or services given to a client that includes the cost of those services.A preschool or a daycare service centre can send invoices to parents that can include the cost of food, pickup and drop-off fees, session fee, administration fee, annual trip fee etc. Generally invoices are mailed 25th of every month and includes different different methods of payment. We have professionally designed invoice templates based on the industry standards. 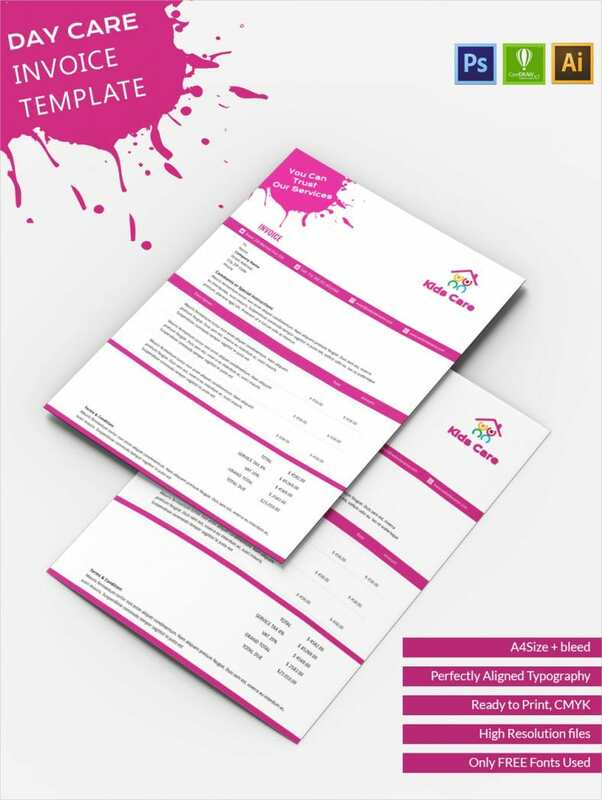 Our templates are fully customizable and simple to use. You just need to add your client’s name & address, total amount, taxes, subtotal etc. and mail to your respective client.